A Treadmill is a device that is generally used for running or walking or climbing while staying at the place. It is used as a machine for exercise and keeping the body fit it by moving on the continuous moving belt on which a person needs to run or walk. It is a device of constant exercise that can be performed both at home and in the gym. It helps in continuous walking which is a new form of exercise within a stipulated time and speed. The scale of speed can be increased with the device depending on the capacity of the person who is exercising using the device. By walking on the treadmill, strength and endurance are developed within a person that is appreciable regardless of the fitness level. The machine can be used for jogging and interval training. - A treadmill is quite convenient to use and exercise at any place be it at home or in the gym. - The risk of tripping is reduced with the treadmill as it has a predictable surface that is quite easier to negotiate than curbs, sidewalks, or trails. - In the treadmills, the users have the convenience of designing custom programs to set the time they need to exercise. - Exercising using a treadmill burns a lot of calories faster than most other forms of simple exercises. - By using the treadmill, all the aspects of the exercise can be controlled like the warm-up period, incline, speed, energy spend, and the cool down period. - Exercising in treadmill helps in treating the lower back pain well. - The personalized treadmills are quite expensive to use. - The treadmills cannot be folded up, and thus it takes a lot of space. - It provides a limited form of exercise which might not solve every purpose of keeping the body fit. - Few treadmills have a loud sound of the motors that might disturb the activities to be carried on beside the machine. - There needs the involvement of a professional for the maintenance of the machine in case of any fault. 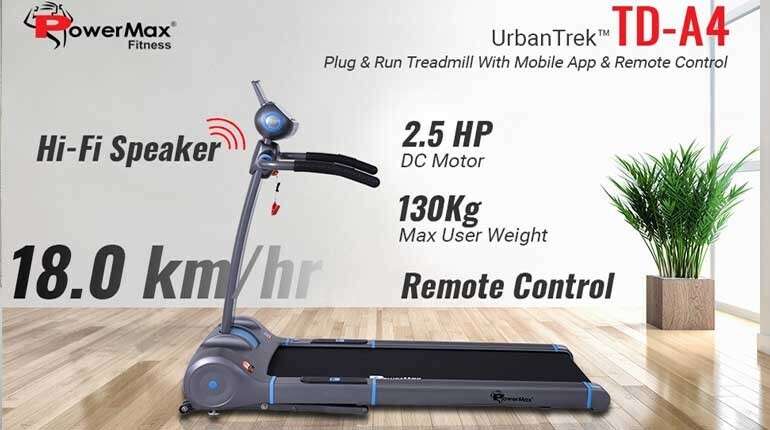 As the name suggests, a manual treadmill is powered by the user itself, which is referred to as the non-motorized treadmill. The user has the control over the belt in a manual treadmill to rotate it at their desired speed. It gives an intense workout to the lower part of the body as all the force comes from the legs and not from the machine. But the manual treadmill can be hardly used for running as it reaches a maximum speed of 3.5 to 4.0 miles per hour. The manual treadmill executes with the action of the feet of the user that moves the belt against the deck. The belt only moves if the user moves it. Exercising on a manual treadmill has a lot of fitness benefits that can get the heart rates of the user into a higher zone at a lower speed. Apart from the two categories of the treadmill- manual and motorized, a new category of the treadmill has been introduced in the market, i.e. the curved belt non-motorized treadmill. The motorized treadmill can keep the pace of running and walking as the treadmill motor moves the belt for the user at a pace that is set up electronically. The horsepower of the motor in one of the major factors that signify the quality of the operation of the machine. It can be looked for at least 1.5 continuous horsepower. For heavier users and higher speeds need a bigger motor. With the motorized treadmill, the user does not have to strain to start it. The motorized treadmill comes with much more workout features that can be experienced with fun and interesting workouts. The motorized treadmills are more stable than flat-belt non-motorized treadmills. The motorized treadmill is a safety hazard, and thus it needs to be handled with care. - The manual treadmill is usually muscle powered that provides all the motive power and exercise the lower part of the body. - The user can control the speed of the manual treadmill by putting in more effort rather than trying to keep up with a moving belt. - The manual treadmill can be used anywhere without the need of any electricity. - A safety cord is not needed to wear while using a non-motorized treadmill to stop it if the user slips and fall. - The curved-belt manual treadmills are used as a part of the workout of the athletic trainers. - In the motorized treadmill, the belt of the motorized treadmill is moved by the motor, and the users need not strain to start it. - In the motorized treadmill, the user can adjust the speed and incline while running or walking. - This kind of treadmill has several workout features into their consoles and even at the lower price points. - A motorized treadmill can be put for a longer training session in long endurance session. - These machines are more stable than the flat-belt non-motorized treadmills as the motor adds weight to it. The workout with the manual treadmill is more strenuous and burns a lot more calorie than the motorized treadmill. The motorized tread helps in a workout with fun as it consists of a lot more features in its console. A user needs to put more effort into a workout on a manual treadmill, although most of the motorized treadmills have better construction and features. The motorized treadmills are expensive enough to use at home, so it is mostly used in well-equipped gyms. Whereas the manual treadmill being less inexpensive can be availed at home for continuous exercise but being large enough, non-foldable and sturdy it occupies a lot of space for its storage. The athletes or the runners who are lighter in weight had to work much harder to overcome the resistance of the treadmill belt. Most of the flat-belt manual treadmills have been found by the runners to be unsuitable due to their less-rugged construction.